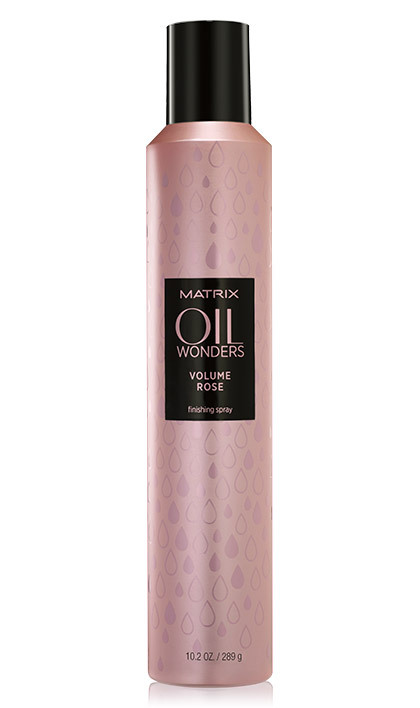 Oil Wonders Volume Rose Finishing Spray is rated 5.0 out of 5 by 2. Rated 5 out of 5 by Chez Belize from Rose oil hairspray The best smelling hairspray ever, I won’t use anything else, I love it! Rated 5 out of 5 by Melody from Oil wonders volume Rose finishing spray Oil wonders volume Rose finishing spray Love this product for the hold without stiffness and the shine.